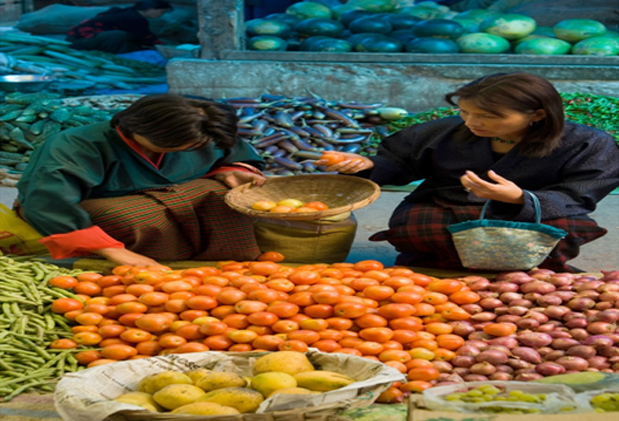 Bhutan is an ideal place for family vacation. 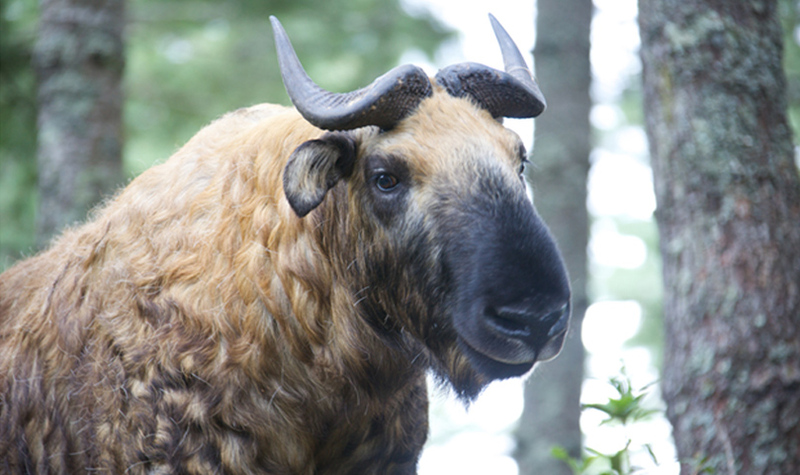 There are lot of things you can do with your family in Bhutan. You can explore ancient monasteries, visit colorful festivals , go for a picnic on the hill top , hoist prayer flags or soak in hot stone bath and relax. You can always choose to stay with your family at a farmhouse and enjoy the quiet evening by a bonfire. You can also choose to go for happiness tree plantation and leave your carbon footprint. 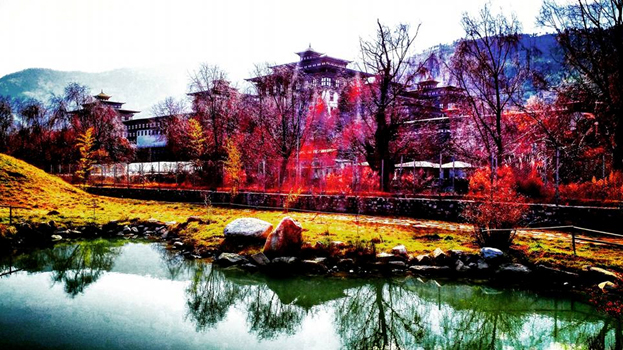 Destination Covered : Paro - Thimphu - Punakha. Evening you are free to rest and relax. After breakfast you'll drive to the north end of the road to Dodina (8,600') and hike an hour up a steep hill to visit Cheri Monastery, or Goemba, built in 1620 by Shabdrung Ngawang Namgyal and established with an original staff of 30 monks. Today the monastery serves as the main meditation Center of the country and has more than 70 monks undergoing their three year, three-month retreat. Inside is a silver chorten holding the ashes of the Shabdrung's father. On your return you'll visit Tango Goemba (another Steep one-hour climb), founded in the 12th century (the present building was constructed in the 15th century). 2.Centenary Farmers’ Market : Every Friday, Saturday and Sunday the weekend market is held in the capital. Here villagers from the valley and other nearby places come to sell their agriculture products. 3. JUNGSHI PAPER FACTORY : The factory manufactures traditional Bhutanese handmade paper popularly known as Desho paper. The visitor can observe the entire process of producing handmade paper using ancient traditional method that have been practiced for generation. You can try your hand at this ancient craft and make some paper of your own as a souvenir. 4. Thangtong Dewachen Zilukha Nunnery : is located on the slope of Zilukha, Thimphu overlooking Tashichodzong . The monastery is located few minutes away from the town.The monastery was constructed in 1976 by the emanation of Drupthop Thangtong Gyelpo who is famour for building iron bridges. 5. Ludrong Memorial Park : It is a beautiful park with fish pond and varied species of plants, as well as the spiritual sound resounding from Tashichodzong ,along with the Himalayan wind fluttering through the prayer flags, coupled with the tranquile sounds of the Wangchhu river that flows beyond, it provides the perfect opportunity for all visitors to generate sense of love and appreciation of Bhutan’s unique natural and spiritual beauty. This morning's tour will include a visit to the School of Arts and Crafts (or "Painting School"), where Bhutanese children follow a six-year program in traditional arts, such as drawing, painting, woodcarving, and sculpture. You'll also visit the Textile Museum, National Institute of Traditional Medicine and Folk Heritage Museum. Afternoon drive across the Dochu La ("la" means "pass") at 10,000 feet, where you might view the snow covered Peaks of the eastern Himalaya (weather permitting). The pass is Marked by hundreds of colorful fluttering prayer flags and is an awesome sight. 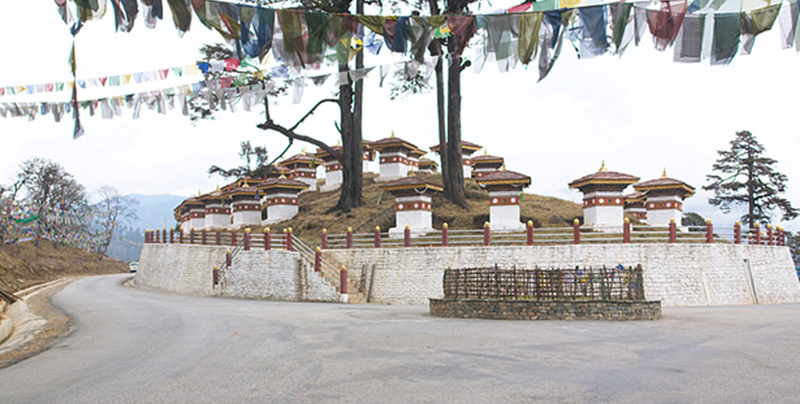 Continue to Punakha, winter seat of the highest lama in Bhutan until the 1950s. Overnight at 3 star rated Hotel/Resort. 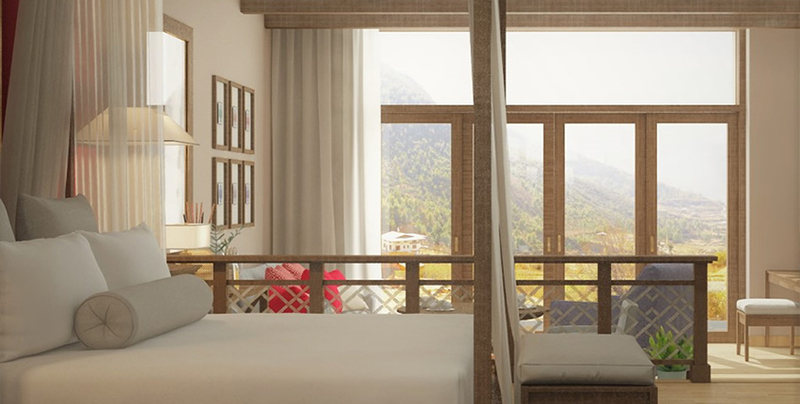 In the morning, you will visit the ancient Punakha Dzong (a Dzong is a fortress-monastery) which dates back to the 17th century, spectacularly situated at the confluence of the Mo and Pho Rivers. You will also have an optional short hike across the rice paddies to visit nearby Chimi Lhakhang, a lovely temple built by Lama Drukpa Kunley. Legend has it he subdued the demoness of the Dochu La with his "Magic Thunderbolt of Wisdom. "A wood effigy of the lama's thunderbolt is preserved in the Lhakhang, and childless women go to the temple to receive a Wang (blessing) from the saint. Morning, drive to Paro. In the afternoon, you'll visit the National Museum, housed in an old watchtower above the Paro Dzong. The museum's collections include displays of spectacular thangkas (religious scroll paintings), bronze statues, Bhutan's beautiful stamps, and the Tshogshing Lhakhang ("Temple of the Tree of Wisdom"), with its carvings depicting the history of Buddhism. 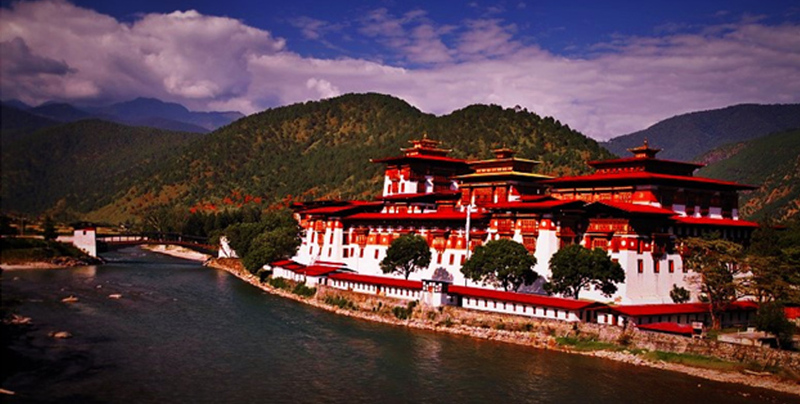 Time permitting; you will also visit the Paro Dzong itself, built in 1644 by the Shabdrung Ngawang Namgyal. 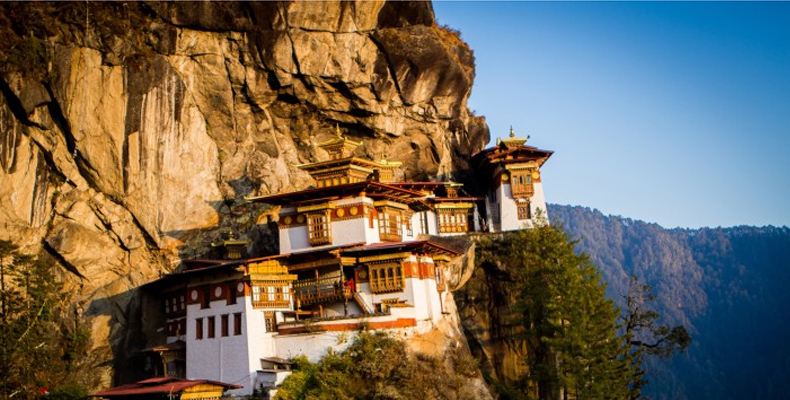 Today you have the option of taking a steep, 1½-hour hike to a teahouse, where you can enjoy a great view of Taktsang Monastery (its name means "tiger's nest"), perched on a cliff 2,700 feet above the floor of the Paro Valley. The hike follows a steep switchback trail through the forest, and after a break with tea and cookies, you have the option to sit outside the cafe and admire the monastery and its beautiful surroundings or, if you feel energetic, to continue another thirty minutes to a closer viewpoint. Much of Taktsang was destroyed by a fire in April 1998, but it is now completely rebuilt. If you don't wish to hike up to Taktsang Monastery, we will drive above the town of Bondey to a trailhead where you can walk about 40 minutes to Dzongdrakha, a small monastery and retreat center overlooking the Paro Valley. Built in the 16th century by the first local king, Chogay Dragpa, this monastery is one of five in the area. There is also a large stupa (shrine) similar to Bodhnath in Kathmandu, Nepal. Return to the hotel for lunch. The rest of the day is free to rest or enjoy some shopping. Today we'll have a very early morning transfer to the Paro airport for departure on your Druk Air.